Why? 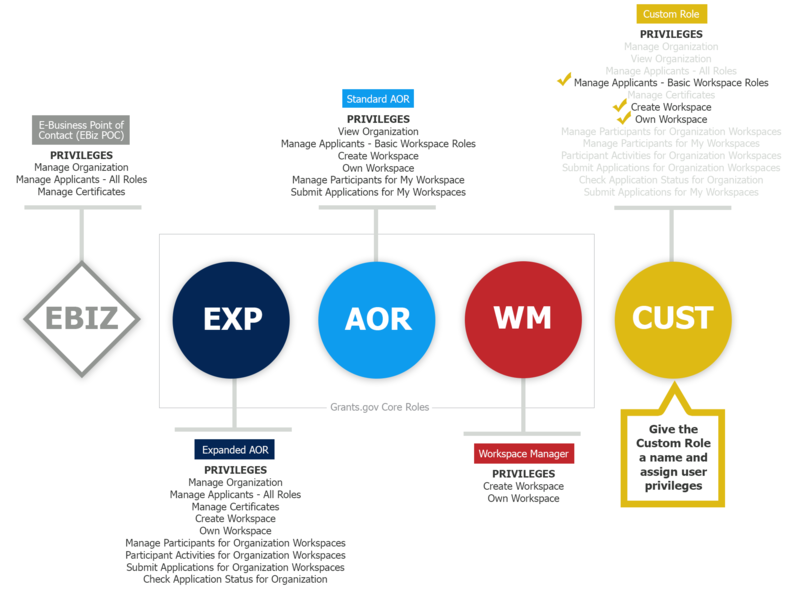 With over 35,000 organizations that apply through Grants.gov, we are unable to develop unique, customized training resources and user support services for the many combinations of privileges within each organization’s custom roles. Instead, Grants.gov’s online resources will focus on the core roles identified above. There will, however, be instructions and support that explain how to create and manage custom roles. For those of your colleagues assigned custom role(s), you will need to consider developing your own training and instructional resources based on your custom roles. Click the graphic of sample custom roles below for a larger, easier-to-read view.